The Independent National Electoral Commission (INEC) has insisted that it would not present a certificate of return to Imo State Governor, Rochas Okorocha, while giving an update on the issue. 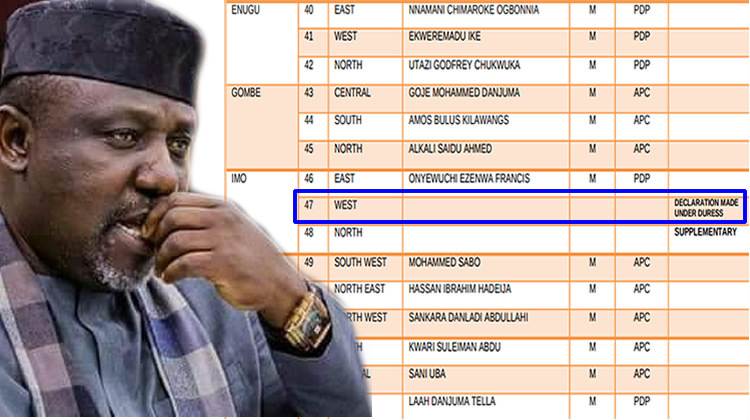 INEC’s National Commissioner, Information and Voter Education, Mr Festus Okoye, explained that the electoral body took the decision because the returning officer for Imo West senatorial district election said that he declared Governor Okorocha as the winner “under duress”. 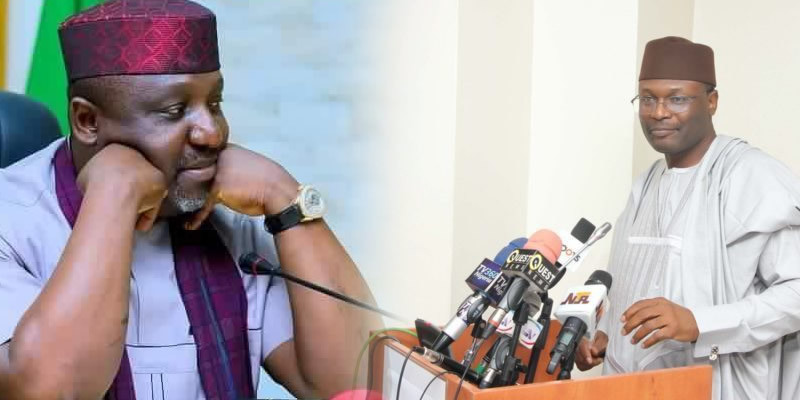 Asked by Channels Television presenter on Monday whether the commission investigated the claim and confirmed that it was true, Okoye said “Yes”.